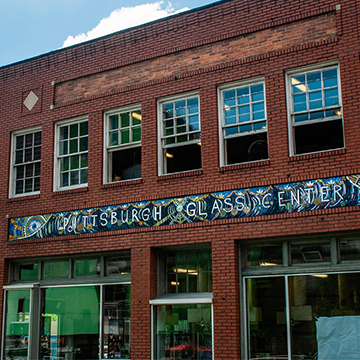 Pittsburgh Glass Center is located in Pittsburgh's East End neighborhood of Friendship/Garfield, approximately four miles east of the Strip District in downtown Pittsburgh. It is public access and admission is free; however, there is a $5 suggested donation. As a premier Leadership in Energy and Environmental Design (LEED)-certified glass facility, PGC’s building incorporates recycled materials and is powered by pioneering, environmentally conscious technology. 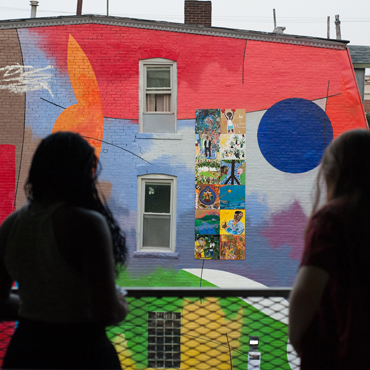 By providing youth programs, aiding social service agencies, and promoting community development, PGC bridges the city’s rich glass history with its creative and economic future. Everyone is welcome to visit during our open hours and take a self-guided tour to see our contemporary glass exhibition, explore our studios and meet our artists. We also have many opportunities for you to get into glass. Pittsburgh Glass Center offers unforgettable educational experiences for everyone, regardless of age, background, or group size. 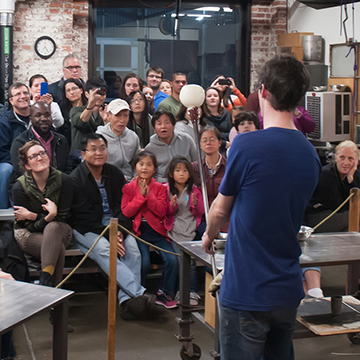 One of the world’s foremost glass art facilities, PGC offers both tours and hands-on experiences in its state-of-the-art studios and contemporary glass gallery. Because PGC is such a busy place, filled with resident artists and active students, tours must be arranged in advance and are scheduled based on studio availability. We’re excited to introduce you to our world! 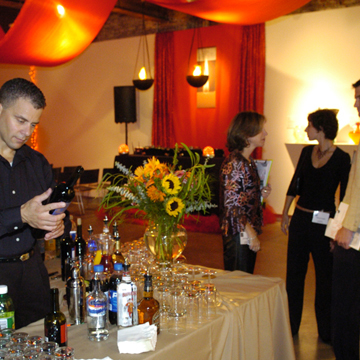 With its chic, urban-industrial design, Pittsburgh Glass Center offers an exceptional space for hosting your group event, from intimate dinner parties and milestone celebrations to bar/bat mitzvahs and wedding receptions. With space for socializing, sit-down meals, presentations, and meetings, PGC is also an excellent location for corporate receptions. Give your guests a truly memorable experience. 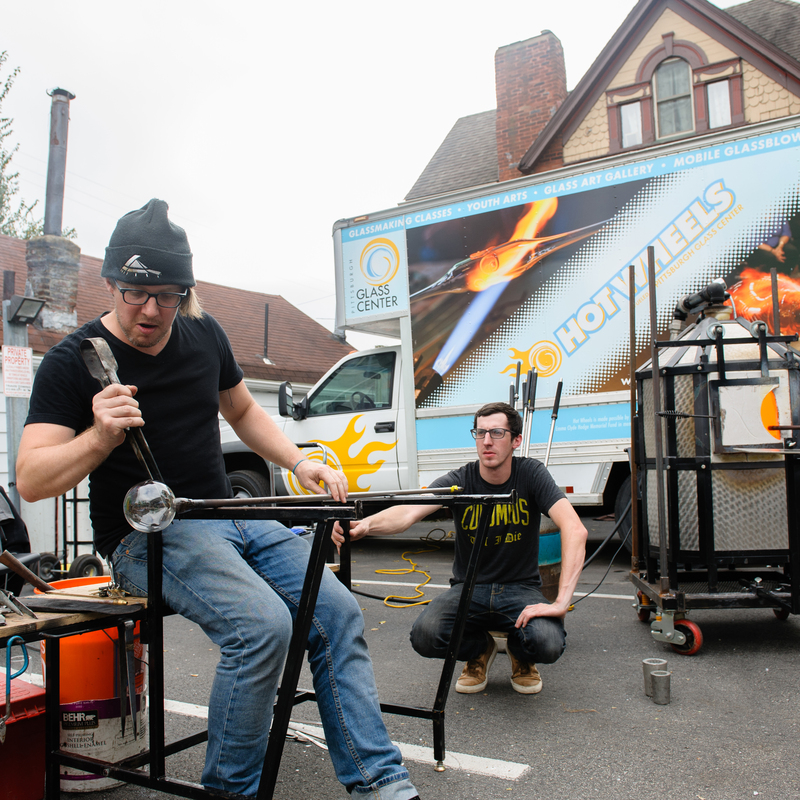 Pittsburgh Glass Center can bring hot glass demonstrations and hands-on activities to you! This compact traveling glass studio is complete with all the state-of-the-art equipment needed to conduct glassblowing demonstrations.